The post Loleatta Holloway – 1973 – Loleatta (Aware) appeared first on Funk My Soul. Although one of the most recognizable voices in music is Loleatta Holloway, many people are unaware of the two legendary soul albums she recorded for Michael Thevis Aware Records in the seventies. These were Loleatta in 1973 and Cry To Me in 1975. Instead, many people are more familiar with the music she recorded when transformed into a disco diva, releasing classic tracks like Runaway, Dreamin’ and Hit and Run. However, back in the early seventies, when Michael Thevis first spotted Loleatta on tour, all this was still to come. It was during her gospel career, that Loleatta first entered a recording studio, recording albums for the Gospel and Heb label. One of her recordings that gained praise and became popular was Help Is On the Way. 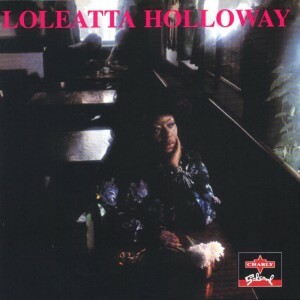 After her early success as a gospel singer, Loleatta formed her own musical company Loleatta Holloway and Her Review, with which she toured for a few years. The next stage in her career was acting, when she took a part in the play Don’t Bother Me I Can’t Cope. It was during this time, that her husband and manager Floyd Smith arranged for Loleatta to record her first secular tracks. This was a cover of a Gene Chandler song Rainbow 71. The track was released on the Apache label, who leased the record from the couple. Later, it was released by Galaxy, who were able to distribute the single nationwide. Her next single was Bring It On Up, originally the b-side to Sentimental Reasons. It was around this time that Michael Thevis became aware of Loleatta Holloway, who he signed for his new Atlanta based Aware label. Once Loleatta had signed to Aware, Michael Thevis wasted no time recording her first single for the new label. This was Mother of Shame, which reached number forty-three in the US R&B Charts. The success of the single prompted the recording of Loleatta’s debut secular album Loleatta, released in 1973 and produced by Floyd Smith. On the album were a number of cover versions including the excellent Sam Dees track So Can I, Tyrone Davis’ classic song Can I Change My Mind and Syl Johnson’s We Did It. However of the ten tracks on the album, Part Time Love, Full Time Full was by far the best. Floyd Smith’s cheating tale is brought to life by Loleatta, when she gives an emotive and impassioned performance. Sadly, neither the album nor he single Help Me My Lord were a huge commercial success. One of my favorite tracks from Loleatta is We Did It, a track written by Syl Johnson, who recorded a number of albums for Hi Records in the seventies. It’s a fast paced groover of a track, with blazing horns accompanying the rhythm section and guitars before Loleatta’s powerful and joyful vocal enters. She’s accompanied by female backing vocalists, whose voices soar emotively in unison. Behind her, chiming guitars, a driving rhythm section and occasional bursts of braying horns complete an arrangement that’s fast and dance-floor friendly, and perfect for Loleatta’s emotionally charged rendition of Syl’s lyrics. However, what makes this such a great track is Loleatta’s emotive and explosive vocal, made all the better by the addition of the backing vocalists. Only A Fool is a much slower, but hugely atmospheric track. The growling introduction sees a mixture of the rhythm section and dual guitars combine slowly and moodily before Loleatta’s vocal enters. When it does, its a powerful and defiant vocal, accompanied by rasping horns. They combine with the guitars and rhythm section to provide a wonderfully, repetitive, moody and atmospheric backdrop for Loleatta to sing about her dysfunctional relationship. Again, female backing vocalists accompany her, their voices providing a contrast to Loleatta’s much stronger vocal. The success of the track is due to the arrangement and Loleatta’s vocal which is full of emotion, frustration and defiance. Sam Dees provided a number of songs for Loleatta during her time on Aware. He wrote So Can I a lovely slow track, with a lush string lead arrangement. It’s chiming guitars, piano and lush strings that open the track before a much more restrained from Loleata enters. Her vocal is full of emotion and pride at being able to live without her cheating partner. Meanwhile, the arrangement isn’t without an understated sense of drama, provided by the strings, guitars, piano and rhythm section, either separately, or together, during the song. As the song progresses, Loleatta’s vocal grows in strength and passion, as she brings Sam Dees’ brilliant lyrics to life during one of her best performances on the album. Add to this a stunning arrangement from Floyd Smith that’s a melodic masterpiece and it’s easily one of the best tracks on Loleatta. The only track that surpasses So Can I, is Part Time Love, Full Time Full, written by Floyd Smith. It’s a track that combines one of the most impassioned, emotive reading of lyrics you’ll ever hear with an arrangement that’s drenched in emotion and atmosphere. Against a slow backdrop of wailing organ, piano, rhythm section, guitars and gently, rasping horns Loleatta gives a realistic rendition of the lyrics about a cheating husband. Female backing vocalists subtly accompany Loleatta, their addition just the finishing touch on what’s not only a hugely, moving track, but one of Loleatta’s best recordings on Aware. Listening to Loleatta, it seems strange that the album wasn’t a much bigger success. The album featured some excellent tracks penned by a number of hugely talented songwriters. Ashford and Simpson, Sam Dees and Van McCoy either wrote or co-wrote tracks on the album. Loleatta brought these tracks to life using a combination of emotion, passion and power. Her manager and husband Floyd Smith produced the album, with his arrangements of the Sam Dees penned So Can I and Part Time Love, Full Time Full which Floyd wrote himself, being two of the best arrangements on the album. One wonders whether Aware was maybe the wrong label for Loleatta Holloway, and whether she might have been better on another label who could’ve promoted her music much better and more effectively. After all, Loleatta was a hugely talented singer and songwriter whose music deserved to be heard by a much wider audience.